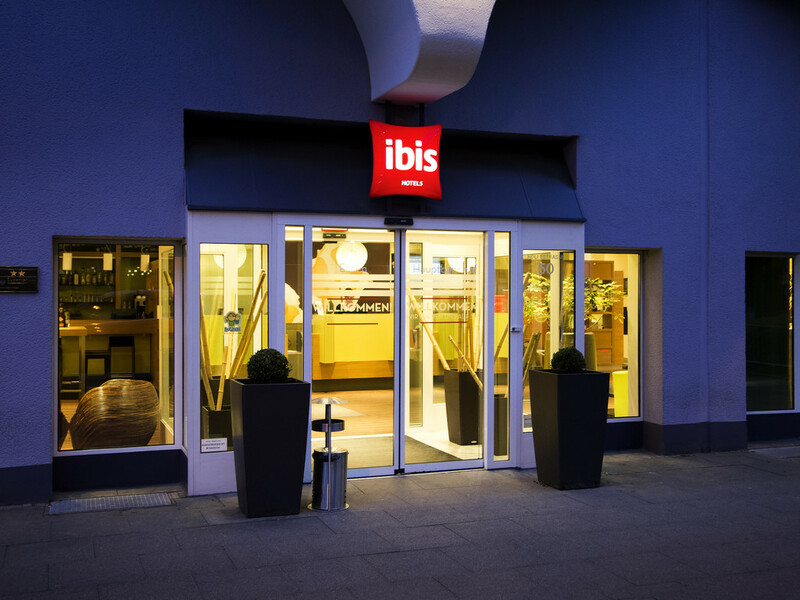 The newly renovated ibis Essen is located in the city center, near the main train station. All 144 modern rooms benefit from Wi-Fi Internet access. You can also access the Internet in the public areas. The iPoint in our stylish lobby provides free interne t access. Our reception is always open, free daily newspapers are available and you can leave your car in our car park. We provide a 24-hour snacks service, incl. specialty coffees. Start your day with a tasty breakfast, between 4 am and 12 noon. The feel-good amenities of our 144 rooms include individually adjustable air conditioning, Sweet Bed by ibis beds for a great night's sleep, free WIFI and a flat-screen TV with many additional Sky channels.